Not many people see what happens to teachers once they leave for the day. For those that do, know that life is not easy, mostly due to their financial situations. As molders of the future, teachers are grossly underpaid in many states. The same could be said for our military men and women who don’t know if they’ll ever see home again when they go to work. NFL players are overpaid not solely because how much they make but how much they make in proportion to jobs who matter more like teachers or soldiers. While players provide us with entertainment, teachers provide students with the knowledge we need to change the world and soldiers protect us from threats that want to destroy our democracy. 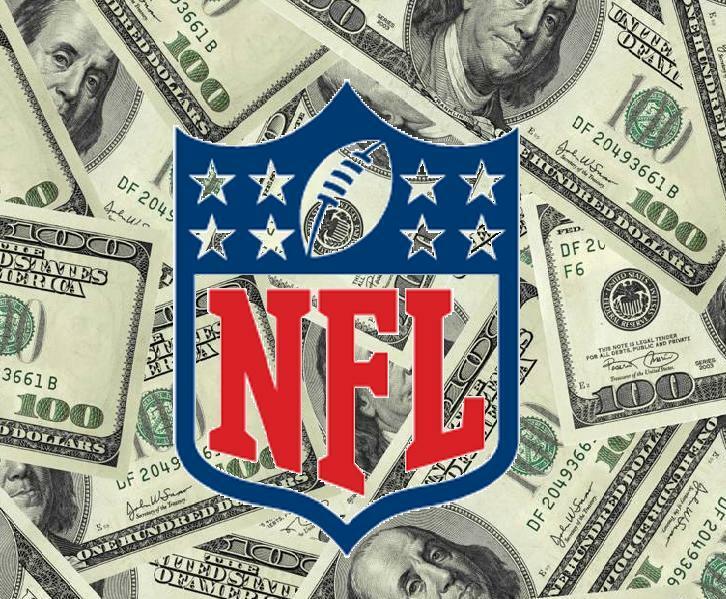 On average NFL players make 2.1 million dollars a year that includes those who do not play but are still on the team. Even practice squad players make a minimum of 450K a year. For those that get considered a team’s MVP (Most Valuable Player) they make hundreds of millions of dollars during their contract. Matt Ryan of the Atlanta Falcons who is a great quarterback in the league currently, makes 18.9 million dollars a year. With endorsements, commercials, etc. he totals 30 million a year (Jones, 2018). Players today make millions more compared to players of the past when the game was more dangerous due to lack of rules and precautions with injuries. In the 70s the average NFL player salary was 23,000 dollars. When it comes to how much the military is paid, it’s just saddening to know that the people who put their lives on the line to serve our country are grossly underpaid for the work that they do. For example, Navy SEALs who are the most elite soldiers in the world, make an average of 52 thousand on salary (Gleeson,2018). A typical Army soldier makes around 42k in salary. Which is a disgrace by our government especially considering they’re sending most if not all of that money back home to their families, so they can get by financially (Woodruff, 2018). The sheer possibility of death or permanent injury should be enough reason to pay our soldier more. While it is a rare occurrence for a player to die or permanently injured during a game it is an everyday occurrence for soldiers overseas who fight and live in a hostile territory. Between 2001 and 2010 around 6,000 soldiers died in the middle east along with 45,000 wounded (Friends Committee on National Legislation, 2011). While although it is a tragic event to see only one player died during an NFL game which was due to a heart attack (Edge, 2017). Though teaching isn’t as dangerous as going to war or volunteering to be hit by grown men every day, it is still a vital job in the world. With budget cuts and benefits taken from teachers as schools either lose money or become stingier it is financially idiotic to become a teacher today (Veeneman, 2018). When teaching students graduate from college they have around an average of 30-40 thousand dollars of student loan debt with them into their lives (Delisle & Holt, 2017). While making roughly 45 thousand dollars a year on a national average (Payscale.com, 2018). Let us not forget why NFL player are paid the amount they are though. It is because of how successful the NFL is as a company with its revenues in retail, tickets, etc. Players only take a small portion of that. They are paid that much because of how much harder it is to get into the NFL than to become a teacher or a soldier. This shows that in today’s society we value entertainment more than we value those who are essential for our nation’s future. Though because people like to pay for entertainment doesn’t mean that they need salaries that high when people who build the future or protecting our future make a “working class” wage.